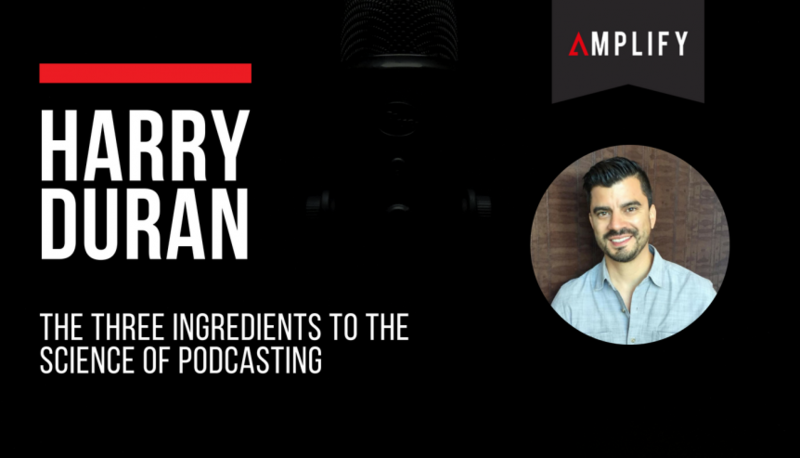 According to Podcast Junkies host, Harry Duran, there are three keys to the science of podcasting. If you’re interesting in finding out what they are and how you can use them to develop a high-quality show, build a fanbase and even monetise your podcast, read on because in this article we’re sharing those three secrets with you. Delivering your podcast show is composed of two parts. Hosts must consider how to position the output. What audience are you targeting? What genre will your show fit into? What will make you and your content stand out compared to similar shows? Define your position. Second, always create a plan before recording each episode so you know exactly what you’ll be delivering to your audience. Write it down on paper, don’t have it just floating in your head and wing it while recording. Make your episode outline concrete. As your podcast grows, so will your audience and your influence. To speed up this process, you’ll need to ramp up the promotion of your show. As with all entrepreneurial ventures, the end goal is always to monetise, so promoting the show and expanding your influence are necessary steps on your way to making a profit. There are a number of profit model designs for podcasting – there is no explicit path to follow. You could use your podcast to direct listeners to a paid course or get them onto an email list where you can reach them frequently with products and services. Another possibility is the sponsorship model. New podcasters may not have enough downloads to generate sponsors, but you will have website visitors, email lists and social media followings. Those audiences in aggregate are attractive to sponsors, if you approach them the right way. Don’t be afraid to toot your level of influence! Connecting refers to the means in which you reach your audience. This begins before you distribute your episodes, during the production phase of your podcast. Develop your production skills so your audio sounds great from day one of your podcast. Audio is king in the world of podcasting, and its quality will affect how seriously the public will take your show. Once you’re ready to publish the show, deciding on what directories the podcast will live on is important. An important recommendation is to keep your podcast separate from your individual website, especially in the beginning. Just in case the podcast evolves as you continue your journey as a host, you may want to keep a developing project and your personal platform as two separate beings. So, there you have it, the three key ingredients to the science of podcasting. None is any more important than any other, they all work hand-in-hand. As you begin your podcast journey, remember to deliver, influence and connect. Listen to my entire conversation with Harry Duran here.